"The opportunity to perform for these visiting artists and open a direct channel of communication to receive musical feedback and constructive advice has been invaluable. 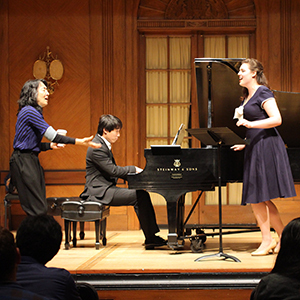 Their clear perspective on ensemble skills and deep exploration into the depths of the chamber music were most impactful to me and my colleagues." We really appreciate you investing so much into Sophia’s musical endeavors. Arranging this master class wasn’t easy or cheap, I’m sure. 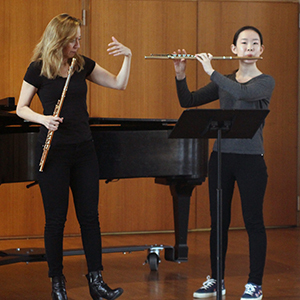 Students don’t just get master classes every day, and especially, not for free. I recognize the lessons, exposure, opportunities, support, and encouragement you are offering my daughters are invaluable. So, I want you to know that I’m truly appreciative of all that you and POP do for them. Students at Temple Music Prep are very fortunate to be in a city like Philadelphia. PCMS propels these young musicians forward by connecting them to the outstanding chamber music ensembles presented in its concert series. 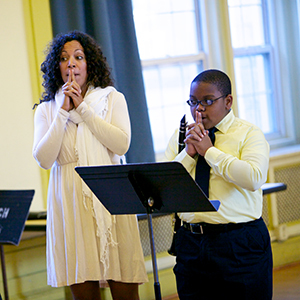 By creating these interactions through workshops and master classes, PCMS allows our youth to learn directly from and emulate the masters they aspire to become. PCMS goes one step further in providing tickets so the students may then hear the artists in concert. The value is immeasurable.